News | Page 4 of 7 | Hancock Survey Associates Inc.
Hancock Associates, a leading local provider of land surveying, civil engineering and wetland science services, proudly announces the acquisition of Noonan & McDowell, a well-respected land surveying and civil engineering firm located at 25 Bridge Street in Billerica, Massachusetts. Noonan & McDowell was founded in 1986 by John L. Noonan, PLS, PE and Malcolm P. McDowell, PLS, PE. Over the years, the firm has built an impeccable reputation serving developers, homeowners and municipalities in Massachusetts and New Hampshire. Hancock Associates, a leading local provider of land surveying, civil engineering and wetland science services, proudly announces the hiring of Jared Johnson as Project Surveyor in the firm’s Land Surveying Department. He is based in the firm’s Chelmsford office. Prior to joining Hancock Associates, Jared was a Surveyor in Training responsible for robotics and GPS field equipment along with overseeing all types of survey projects from research to finished plans. He also has experience as Party Chief at two prominent New Hampshire firms. Jared holds a B.S. in Survey Engineering Technology with a minor in Construction Management from the University of Maine. He lives in Pelham, New Hampshire. Hancock Associates, a leading local provider of land surveying, civil engineering and wetland science services, announces that Donald I. Desmond, PLS has retired from the firm. Hancock Associates was founded in 1978 by Frank Hancock, PLS, PE and Don was selected by Hancock to assist in creating the firm. 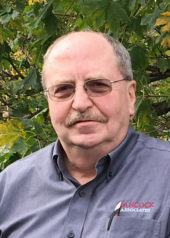 In 1984, Don became Hancock’s sole owner and President. 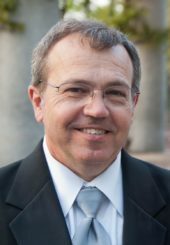 During Don’s tenure, his acumen for business and passion for surveying and design led to countless service and process enhancements. 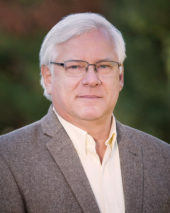 Don led the implementation of advanced technology in surveying, CAD systems and computer-based accounting, invoicing and human resources programs. Additionally, he accelerated the company’s growth from the original office in Danvers to include five offices throughout eastern and central MA and southern NH. Because of Don’s belief in the preservation of survey and land records, Hancock acquired archives that contain records dating back to 1852. His goals for diversification began in 1984 when he established Hancock’s wetland science department after identifying the need for wetland science capabilities in the field of civil engineering. Wetland science is a core component of Hancock’s services. Today, Hancock’s diverse portfolio includes most all market sectors, a wide range of services and a broad geographic service area. As part of the Hancock’s succession plan, Don transitioned to the role of General Manager and held the position from 2016 until this retirement in December 2017. He will continue to be involved in the firm’s success by sharing his expertise as a member of Hancock’s Board of Directors. 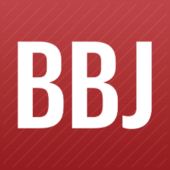 The Boston Business Journal recently announced their list of the largest general contractors in Massachusetts. Hancock Associates is honored to work with half of the top 25. They are: Suffolk, Consigli Construction, Turner Construction, Shawmut Design and Construction, BOND Bros., AECOM Tishman, Lee Kennedy, Cranshaw Construction, Gilbane Building, Columbia Construction, Campanelli, Commodore Builders, W.T. Rich and G. Green Construction. Ed Dixon, P.L.S, the manager of Hancock Associates’ Newburyport office was recently published in the Plum Island Taxpayers Association’s spring newsletter. Ed has over 20 years of experience working in the Plum Island area and shared some of his knowledge in his article Surveying on Plum Island from a Land Surveyor’s Perspective.